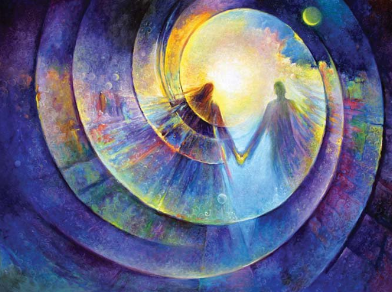 Connecting to our loved ones in spirit through mediumship is a simple matter of adjusting our awareness and allowing our senses to go beyond this three-dimensional physical reality. We have five basic senses of touch, sight, feel, smell, and hearing. These senses function in the physical realm. Our light bodies can also hear, see and feel. We call this clairaudience, clairvoyance and clairsentience. The medium is able to use these senses a great deal more than most people. Not having any siblings to share or help in my grief, I naturally had questions. I am 51 years old. My mother died at 69, when I was 36. My father died at 71, when I was 42. I am an only child. After losing both of my parents at what I would consider a young age and not having any siblings to share or help in my grief, I naturally had questions. Shortly after my dad passed, I remember sitting at work one day and missing him terribly, when I felt this very warm sensation come over me and what I thought was his hand being placed upon my left shoulder as if he were telling me, ‘It’s going to be okay.’ After that day, the sadness and grief seemed to ease somewhat. Each year on the anniversary of when they left, it gets a little easier, but still I had questions. Through acquaintances, etc., I met MarVeena and learned that she had the ability to help people who are still here reconnect with those who have crossed over to the other side. I decided that I would attend a seance in hopes of talking to my parents and anyone else who wanted to make their presence known that night. I was very excited after she was able to identify both my parents as wanting to let me know that they were okay and wanted me to be okay. Since that evening, I have felt more at peace than I have in the years since they passed. I somehow knew they were okay, but until that evening I was not sure. I feel sure I will attend more seances in the future. They are informative and very helpful for those who have lost loved ones. What are ghosts, entities and spirits? Our physical body has several layers or extended bodies that most people can not see with their ordinary eyes. This is appropriate for this experience here on earth. However, we have layers of energy bodies that have different functions. These layers are called our light bodies. The light bodies consist of our emotional body, mental body, soul body, soul emotional body, soul mental body and casual body. All of these bodies interconnect with each other and the physical body. 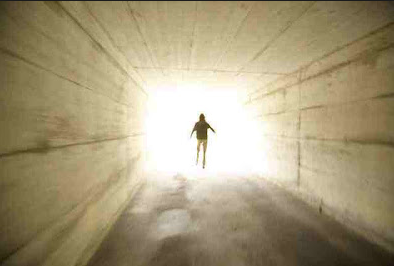 At the time of death, the emotional, mental, soul, soul emotional, and casual bodies (light bodies) pull away from the physical body taking the life force with them. The soul now exists in the astral body which is appropriate for the astral realm. The light body spirit still has feelings for the loved ones left behind and is still able to think and process thought. How Does Psychic Mediumship Work? For the spirit entity to connect to a medium, all they have to do is merge the aura of the medium and connect their mental field to the medium’s. Now a mind-to-mind communication takes place. Symbolism is the language of the universe. The dis incarnate spirit will impress a message of symbols through their mental field to the medium’s mental field. The medium will often hear a combination of words, see images, and feel impressions from the dis incarnate spirit. Usually the first thing the spirit will tell the medium is their name. If they had an unusual name, they might try to get their name across by using a song, like “Rocking Robin.” I once had a young girl who was killed in a car accident come in with that song. The medium will hear the song over and over until they acknowledge it. Sometimes, the spirit will say something about how they died or give names of surviving members of the family, or special pet. They might show the medium scenes, symbols about their life. I try to describe them to my client exactly as they are being impressed to me. It is up to the spirit to project, and up to the medium to receive. I went to my first circle with MarVeena at the suggestion of friends. My father’s death several years before had me in a very, very, dark place in my life – I was resigned to the fact that things would never get any better for me emotionally. My family was worried about me, yet I just couldn’t move on. Much to my delight, Dad’s unmistakable spirit ended up monopolizing the circle that night and having MarVeena as his messenger was the most incredible thing I have ever seen. I got my life back that night! I am pleased to report that I am my old self (only more improved!) and I anticipate having MarVeena come back to grace us with her time. She has such a gentle way about her, that immediately puts you at ease, yet brings you into the moment at your own speed. THANK YOU, MarVeena – and as dramatic as it may sound, the following is TRUE – you really did save my life. I am fascinated by the many facts that some spirits can relay to us, like their time of transition. Determination, will, and desire play a role, too. I think it sometimes takes practice to get the feel of projecting messages across the veil. People often ask why we should bother to connect to our family. Normally the spirit wants to connect to assure the relative or loved one that they are OK and not in any pain. They may want to offer comfort to a grieving family member. They may have unfinished business or want to apologize for some pain they caused someone here in this life. The spirits can only ascend so far into heaven if they are holding unfinished business for this realm, especially when they have hurt someone. Their auras must be cleansed and released before they can move forward. By apologizing to their loved ones here, through a medium, they can release the guilt they were holding in their auras. Now they can move on in their own spiritual growth. Sometimes spirits may want to assure the loved one that there is life after death. People can really start to live when they are no longer afraid to die. The spirit can give incredible and detailed evidence that proves that they are who they say they are and that there is continuing life. 1 Hour reading $270.00 Click the link below to purchase! How Can Psychic Mediumship Help You? I had the amazing experience of working with her after my fiancé passed away. His death was a devastating and shocking experience for me. My reading with MarVeena helped ease my pain, gave me some closure about his death and transitioning. She helped me find great inner peace by being the conduit to help me communicate again with my loved one. When a person is in deep grief over the loss of a loved one, it is very therapeutic to connect to them in this manner and hear evidence and messages and know they are still alive on another plane of life and not lost to us forever. One phrase I hear over and over again is, “You don’t know how much better I feel. I am so at peace.” It helps in the grieving process tremendously. We also realize that we can connect to them anytime we wish, and we haven’t been abandoned. I will be notified when you make your purchase. Then we can arrange a good time for both of us. Please call from a location and time where you wont’ be disturbed. If you are distracted at work and dodging people, it affects the vibrations around you and I will be picking up on that. Please don’t give me too much information ahead of time. I like to have your Name and Birth Date to locate you in the Akashic Records. This helps, but it isn’t necessary. NEW! I am now offering readings using Skype at no extra charge (English speaking only please). So now those of you outside of the United States can contact me and not have to worry about an enormous phone bill. 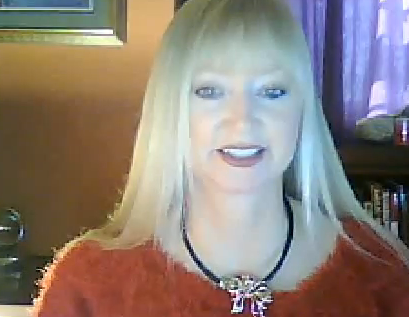 Simply provide me with your Skype information when you book your reading. The Native Americans have a saying that I love, “It is a good day to die,” meaning I am at peace with myself and all creation, including my ancestors. Reaching out to spirit in this way is a wonderful way to have some closure and a wonderful understanding of your place in the grand scheme of things. The evening I spent at MarVeena’s gallery was very enjoyable. I got specific information that told me my grandmother was coming through. A real validation! MarVeena set a wonderful tone before starting the gallery and very graciously gave attention to all the participants in the room…including those in spirit. What was most touching was that my friend’s grandbaby who was lost before birth came through and made her presence known in a most delightful way. I highly recommend attending one of MarVeena’s galleries! MarVeena is one of the most detailed and accurate Mediums I have come across in the Metaphysical Community. She delivers undeniable evidence in her readings. Her kind and gentle spirit make you feel right at home and open to receive the messages that come through. I am excited to leave this note so that others may benefit from MarVeena’s services. Immediately after speaking with MarVeena on the phone, there was a calm in my home that had never been present since we moved in one year ago. it was easier to focus on what needed to be done and although still a little rocky, a clear path was evident and I was finally able to prioritize and make a plan. I feel as though there IS a purpose for what I am doing and I will continue to look to MarVeena for guidance as I learn to recognize for myself how to stay defended from any negative energy that may seek to slow my progress. Thank you MarVeena for taking the time to help me in this matter! When Spirit has a message for you, and speaks directly to your heart, you can’t deny it and must speak up! I recently attended a Clairvoyant Reading Circle by MarVeena Meek @ the Healing House of James and Joan Dillard. I am in no way a doubter of Psychic readings, but intended to attend this first Circle, as an observer and to simply witness the proceedings. Prior to MarVeenas arrival the Dillards had prepared the Healing House for the upcoming session, by blacking out any source of light. The Healing House is always cleared of any negative energy, by James, and the house is full of beautiful crystal of every description, and pulsated with beautiful crystal healing. The main room was filled with 30+ people, and a lot of anticipation. I had found a comfortable seat on a comfortable sofa, and intended to sit quietly, and just observe the proceedings, being this was my first Psychic Circle At that location, with MarVeena, and the crowd of her regular attendees. After MarVeena arrived, the Energy increased significantly. MarVeena quickly surveyed the room, and introduced herself to everyone, and obtained the names of everyone, new and regular attendees. After all the introductions, the room was darkened, and MarVeena did a beautiful clearing of any unclean spiritual energies she perceived, and did a beautiful calling in of the Sacred Dimension, and set the space with protection from the Spirit World from all dimensions, and calling on all of her Spirit Guides for protection and help in calling the Ancestral Spirits of those in attendance that had passed over the threshold of this life, and that had messages for their loved ones. Needless to say the space was fully charged with Spirit, and protected against unclean energies. MarVeena began slowly circling the room and calling on Spiritual Energies, that had come to deliver messages for those in attendance. She would give message clues for people, and narrow the messages to those to which Spirit was attempting to contact. Amazing to me, when someone in attendance would speak-up and tell MarVeena the messages were from someone in their lives, that had passed on, she would call on them by name. No small task in itself with 30 plus people in the totally darkened room. Messages were delivered to those, whom Spirit was addressing. Again, I was there as an observer. She proceeded for a time over in corner to my left. Then she addressed items she was picking up, that people were speaking up as something maybe were for them, but weren’t quite a direct connection for them. She said she was receiving messages from someone that had passed, and asked if someone in the room had someone that had passed over Named Laila, some people spoke up, but the name didn’t quite fit. That was a direct hit for me, as my Grandmothers name was Laila, but I remained silent because she was over in a corner away from me. She said she saw a man in uniform that had a message and again, people mulled it around as something almost fitting them but not quite. Direct hit #2 for me as my father was a career Air Force bomber Pilot, and I saw the uniform she had in question. Again I remained silent as she was too far away from me in the room. She then said she saw a Bear Claw necklace, direct hi # 3. I could no longer remain silent, as I knew she was speaking directly to me, and I told her she was speaking for me. and I told her my Grandmother’s name was Laila, that My father was a Bomber Pilot from WWII thru the VietNam war, and I had been given a Bear claw necklace from the Cherokee tribe, the Tsalagiyi Nvdagi, the Southern Cherokee Tribe. She delivered the message the Spirit World had for me, and needless to say I was in complete amazement, and left in an altered state for the remainder of the Circle. MarVeena continued with messages from Spirit to the rest in attendance, and Spirit gave additional inspirational phenomenon with flashes of lights and other unusual phenomenon. After the circle drew to a close, the lights were turned back on and conversation continued about what had transpired, until the hour grew late and MarVeena closed out the Circle. I had tried to be quiet and be just an observer, but when Spirit has a message for you, and speaks directly to your heart, you can’t deny it and must speak up. I was utterly amazed as would be anyone that has the opportunity to attend one of her Spirit Circles. My personal experience, she was spot on…. I have had the privilege of taking part in two sessions with MarVena. While being one of the most warm, caring people I have met lately, she also possesses an amazing ability. She spends the extra time to meet the people who are present, and even to find out what they are hoping to accomplish during their time with her. Listening to the reactions to the people in the group that she is indeed making contact with another realm. The little jokes, personal asides, an incident or an item that she brings up elicits definite emotions from whomever she is connecting for. For my personal experience, she was spot on. If you have an opportunity to spend an evening with her and the people in her, you will not be disappointed. I first attended a spirit circle led by Marveena and was amazed at the information she revealed from and about my relatives who had crossed over. I also was affected and inspired by what was said to other participants in the circle. This spirit circle was a safe, comforting experience and was conducted very positively and professionally. Recently, I had a telephone reading with Marveena to gain insight into my family and career, as well as the potential whereabouts of a lost pet. During this reading, several family members in the spirit world came forward, even though I had not said anything to Marveena about seeking a visit from them. Amazingly, Marveena identified several of them by first name right away. She even was able to accurately describe one of my grandmothers (who died 25 years ago) and give correct information about her final illness. Also, Marveena was also able to give me insight into some career decisions that had been weighing on me. As a very open-minded Christian, I especially appreciate that Marveena opened both the spirit circle and my short telephone reading with a prayer. Both experiences were positive and life-affirming and led to some important insights in my life — mainly about the importance of family bonds, and about not living in a spirit of fear but instead in joy, laughter, and love. Thank you for using your gifts, Marveena. I have worked with Marveena many times in the past for mediumship, clearings and Reiki training. Marveena’s ability to use her psychic gifts while remaining down to earth and practical is refreshing and enormously helpful. I would recommend her without hesitation. I had a clearing/reading with Marveena yesterday. I can’t begin to explain the sense of peace that I had. She hit everything right on, from my wild dreams to the horrible pains I have in my stomach area. She even named a few family members that have passed- by name & gave me specific messages from them. I was in awe. I couldn’t wait to relay the messages to my family!! The soul clearing was so eye opening for me. It brought a lot of peace and understanding. Marveena took her time and explained everything to me. She also gave me several tips on how to maintain the clearing myself. She is awesome, I have never met someone like her. I thank God for sending me to her. I can not wait till my next reading. If you are looking to reach out to loved ones or if you are in a rut and don’t know where to go from here & maybe you honestly feel as if something greater than yourself is holding you back- do not hesitate to call Marveena!! I have already referred her to some of my family….you will NOT be disappointed! Thank you from my soul….Thank you soo much for the work that you do!! I have had two readings with MarVeena. The first time it was a “group” setting. Everyone in the group had an awesome experience, even the doubters! I had so many family members who have passed over who had messages for me that I scheduled a private family veil lifting. I can’t find the words to describe the feeling of peace and happiness one feels after hearing from loved ones who have passed. I definitely know MarVeena is a loving, gentle spirit who has the ability to be the medium for you. My husband and I met with Marveena and she instantly honed in on numerous loved ones who had passed with several personal details that only we could know of. The experience was amazing and a great blessing to us as it allowed much needed closure. MarVeena has a true gift and is very kind and caring. The reading was a gift in time we will always cherish.